The Health Museum, Hyderabad is located near Public Gardens. It started in 1948 and since then there were no add-ons, no deductions, no updating or divisions in the museum. The two sections of the Health Museum in Hyderabad include nutrition and health issues and Motherhood and Childbirth. The Health Museum, Hyderabad also has a library and conducts lectures. Visit the museum on Wednesdays and Saturdays to watch the films shown here. The Health Museum, Hyderabad is located near Public Gardens. 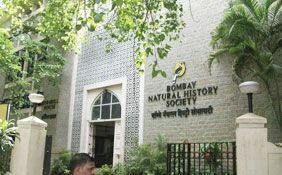 As you enter this museum you can find the words of Jawaharlal Nehru which are displayed at the entrance of the museum. The words and the museum are 50 years old. It started in 1948 and since then there were no add-ons, no deductions, no updating or divisions in the museum. Therefore, the museum still bears the same ancient look of the late 40s. The museum is as old as India and, therefore, symbolizes the era. It symbolizes the poverty, ignorance and lack of dedication, commitment, progress and improvement prevailing during that time. The two sections of the Health Museum in Hyderabad include nutrition and health issues and Motherhood and Childbirth. The first section deals with topics like nutrition, health (school and industrial), TB, leprosy, anatomy, cancer, malaria, immunization and such others. The second hall of the museum in Hyderabad is dedicated to Motherhood and Childbirth. The Health Museum, Hyderabad also has a library and conducts lectures. Various useful films are also shown on Wednesdays and Saturdays.